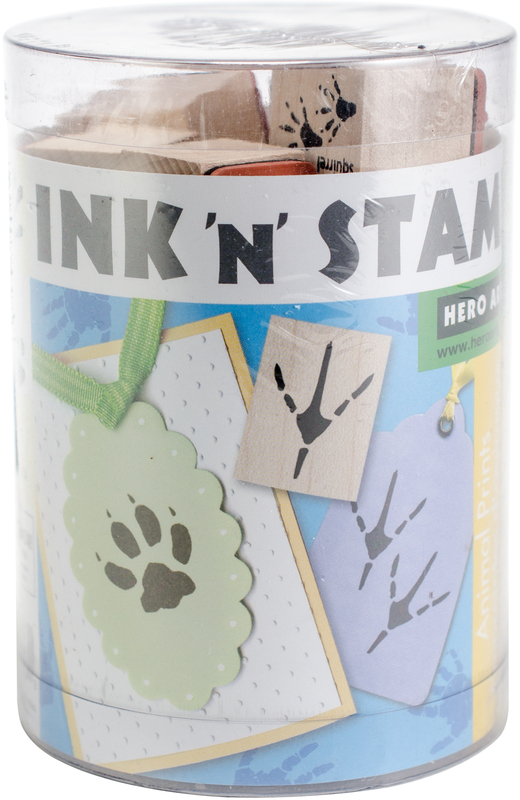 HERO ARTS-Ink 'n' Stamp Sets. Create playful cards, tags, and notes with these cute coordinated sets. Each set contains eighteen fully assembled wood-mounted rubber stamps (each measures approximately 1x3/4 inch) in a variety of designs, and one 1-1/4x1-1/4 inch stamp pad. The set comes in a handy storage tube (4-1/4x3x3 inches). Available in a variety of themed sets: each sold separately. Color of stamp pad varies by set. Imported.